We love books, all books! Heck, we’re specialist book buyers! If you have a pile of books that you’ll probably never pick up again, then send them our way. We’ll offer the best prices on the web for your books whether it’s a novel, a theatre book, a poetry book, a beautiful folio book or even a textbook. Don’t throw books away – sell them! Give your unwanted books a new home and we’ll give you a nice chunk of cash. We’ve been recommended by MoneySuperMarket, The Telegraph, Channel 4, the Daily Mail, Good Housekeeping and many more – so you can trust us to give you a great offer. Nobody likes clutter, but everybody loves cash, right? When you sell online with us, you’ll have a nice clean house and a healthy bank balance. It’s a win-win situation. We’re the UK’s specialist book buyers and will take any books that you no longer want, or need, off your hands. 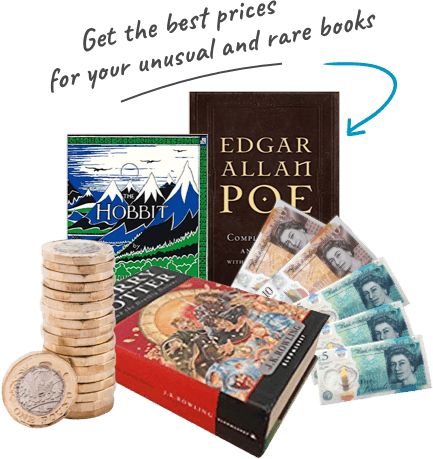 We buy single books and whole book collections too – so if you’re a Tolkien fan and own the Hobbit trilogy or all the Lord of the Rings books, then sell them online with us. Make some space at home and make some money while you’re at it. That’s because we take the stress out of selling your unwanted books. All you need to do is download the app to your phone or tablet, then you can use your phone camera as a barcode scanner to list any books you don’t need or want quickly and easily. Unlike some other online marketplaces, you don’t need to create lengthy product descriptions, take photos of the front and back cover or tell us the life story of your book! Make some easy money with our handy app. 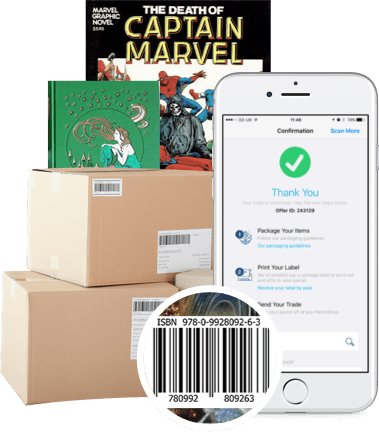 The We Buy Books app turns your phone into a barcode scanner so you can scan your books and list your items in seconds, not hours. While you’re at it, scan the DVDs, CDs and games that you don’t bother with anymore, as we’ll buy those too! You can download our app right here. If you want to know what books will make you the most money then check out our hot list. Just make sure that the books that you want to sell are in decent condition to get the best offer. As long as your books don’t look like they’ve been chewed by the dog or used as a coaster then the odds are, we’ll be happy to buy them from you. 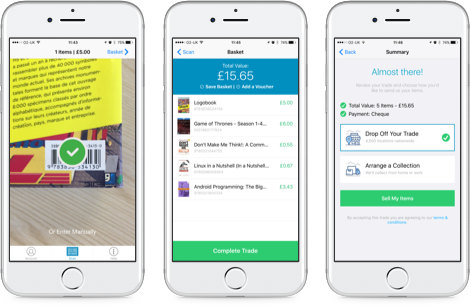 Start making money from your rare books, games, CDs and DVDs – download the WeBuyBooks app today. For more information on how to make money and sell rare books using our app, please feel free to give our customer care team a call on 01706 248281. If you’ve recently used our service to sell rare books and you’d like to give us some feedback head over to Facebook or Twitter.